Guests are invited to a delicious, simple dinner of soup and bread donated by local restaurants while listening to live music. Shop the art market. 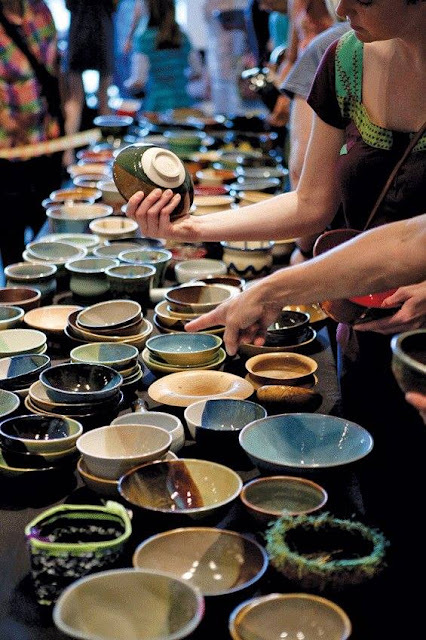 A portion of the proceeds from your purchase from the vendors, talented local artists, will go toward the Memphis Empty Bowls mission. L Ross Gallery is pleased to announce a solo exhibition for Memphis artist Bobby Spillman. 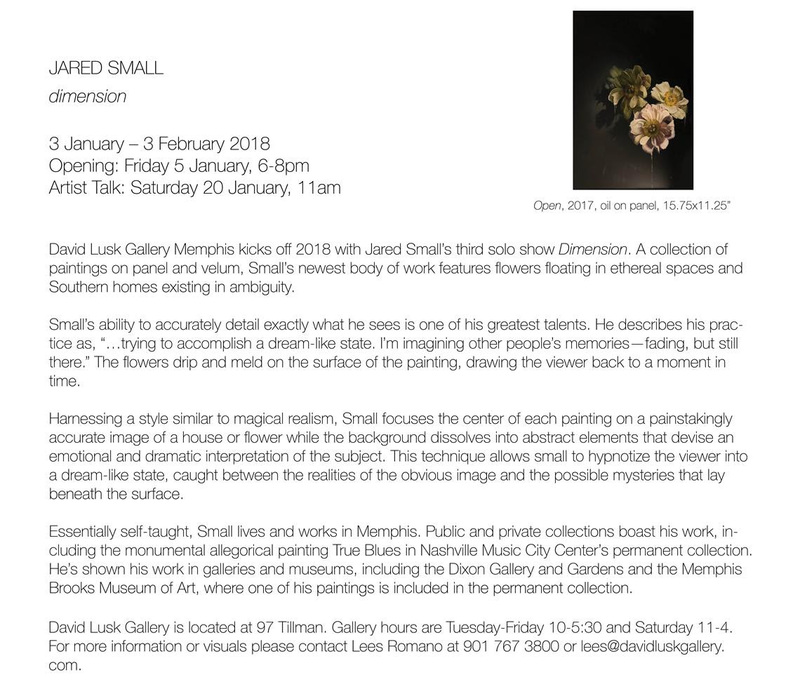 The exhibition opens Friday, January 5 and continues through January 27 with a reception honoring the artist Friday, January 5, 6:00 to 8:00 pm. Spillman will also lead an artist talk at the gallery Saturday, January 13 at 11 am. Titled "Make Spillmanville Great Again," Spillman’s paintings and gouache narratives continue to detail his zany and unpredictable world. 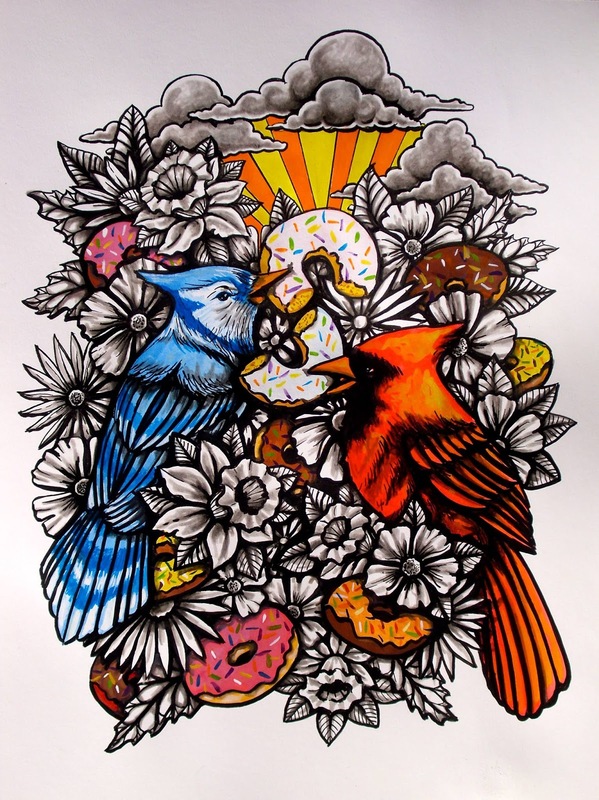 Metaphors abound through images of donuts, birds, monkeys, and other quirky animals. Bobby Spillman received his BS (Communications) from the University of Tennessee and his MFA (Painting) from the University of Memphis where he was the Little John Fellowship recipient. Spillman has been an art instructor at the University of Memphis and Memphis College of Art and taught at Bruce Elementary School. The 2014 Memphis in May Poster Artist (Panama), Spillman is currently the Visual Art Instructor at Houston High School. This body of work represents an intersection between the psychological space that the feminine takes up and the physical presence that it should – but inexplicably does not – consume. These maps manifest as landforms that suggest weight, permanence and precision, but the ephemeral media used in the work contradicts form with delicacy and an intentional lightness. In some pieces, historical maps collide with domestic patterns found in the home. 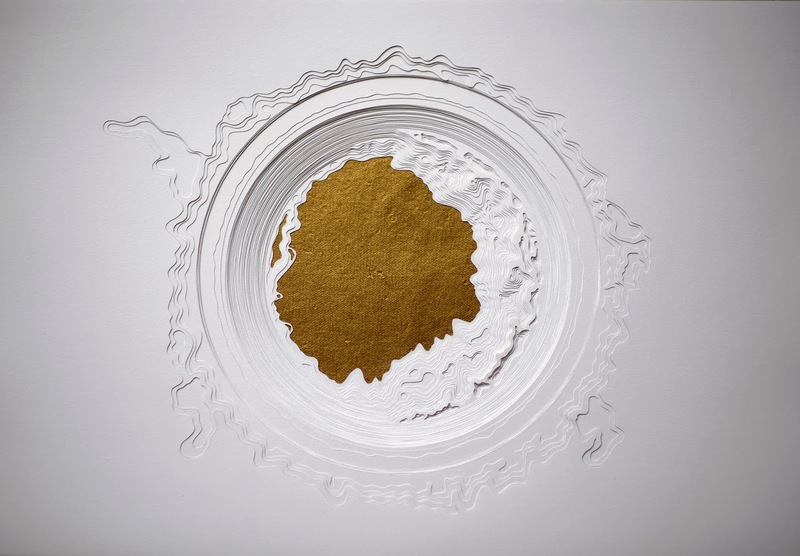 In others, I have written passages from cherished books and tucked them deep within three-dimensional landforms that build themselves spontaneously from the shape of the words. They all represent ideas that should take up space and should get in the way. Artists included: RoyTamboli, Mary Long, Nathan Yoakum, Pam Cobb, Juan Rojo, Jay Etkin, Stephanie Brody-Lederman, and others. Located in the event space of High Cotton Brewery, come celebrate the gift giving season with us at this relaxing Sunday afternoon shopping event with 14 vendors, an intimate group of artists and makers with hundreds of shoppers who circle their calendars for what is a truly Sunday Funday! Come shop on Broad this Friday night. Bingham & Broad will have new original art and wine and cheese. Falling Into Place will have hidden gift cards you have to shop to find! 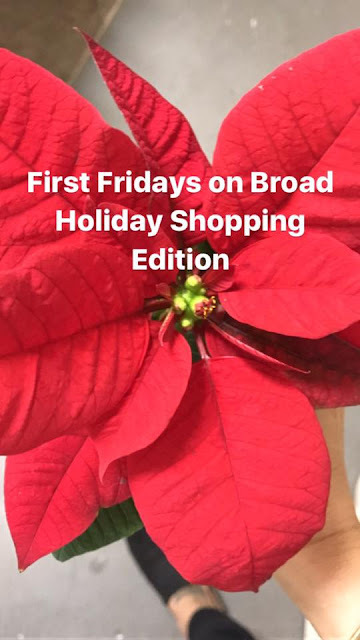 Merchants on Broad will have specials and treats. City & State will have a pop-up by Boutonné, a line of handmade leather goods. Also BYOB to make a spiked coffee while you shop! T Clifton Art will have a special exhibit of art glass for gifts! Five in One Social Club will have treats to enjoy while you shop. Tops Gallery is pleased to announce Man Finds Meteorites in His Yard (This is Planet Earth), an exhibition of new works by Josef Bull at Tops Gallery and Tops at Madison Avenue Park. Believing in meaningful coincidences and the mystical potential of all things, Josef Bull's work meditates on anomalous chains of interconnected information. Here, in new two- and three-dimensional constellations, specific characters and phenomena from contemporary culture intermingle with objects and practices of everyday life. Corporate yoga logos unite with kindred crop circle formations; LOTR antagonist Saruman frames Bull's paintings of famed start-up garages of Silicon Valley; Danny from The Shining morphs with a real-life namesake doppelgänger whose life-saving "hunch" was noticed by local Michigan News. Layered on both photographic and sculptural surfaces, these blends of found and original materials lay out Bull's attempts to both make sense of and recreate the feeling of bewilderment induced by an evermore confounding world. At Tops at Madison Avenue Park, Bull's video installation This is Planet Earth(2017) looks at domesticity with an astronomer's gaze. Housed within a suspended propane barbecue, a handheld video tour of a suburban yard loops to the sound of a cab-driving Youtube user's existential rant on the miracle of life. Surrounded by other icons of the American home, the piece becomes a reflection on the domestic landscape as a container for inner and outer space. Josef Bull (b. 1984 in Huddinge, Sweden) lives and works in Brooklyn, NY. His work has been exhibited at Bonniers Konsthall, Stockholm; Museum of Ethnography, Stockholm; Situations, New York; and Tops Gallery, Memphis. In 2013, he was a recipient of the Maria Bonnier Dahlin Foundation Award, and in 2014 was the artist-in-residence on the scientific arctic expedition Swerus-C3. His work produced onboard was recently published by Solar Power Press as a set of books titled Arctic Mud (2017). 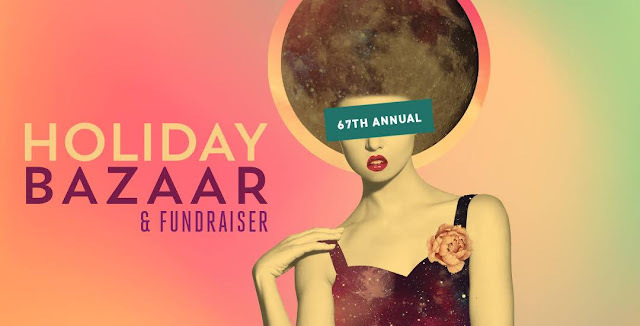 On Friday, November 17th, MCA will host an exciting Preview & Purchase Party from 5-10pm for its 67th Annual Holiday Bazaar & Fundraiser. This is the biggest and best yet! Get first dibs on all artwork and gifts. Refreshments and hors-d'oeuvres served. Click the ticket information link above to purchase your tickets. 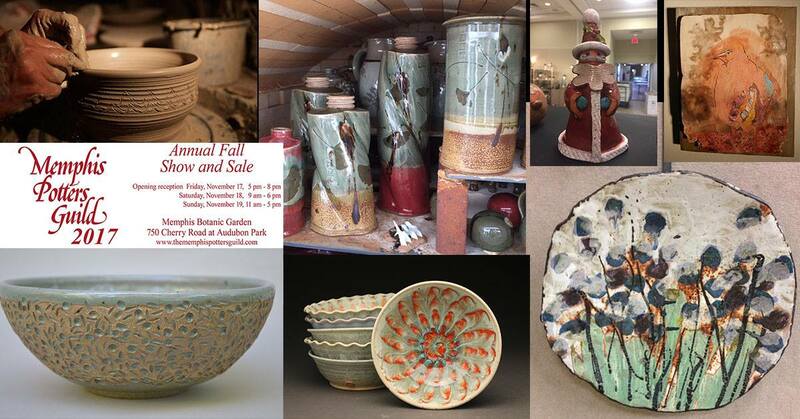 On Saturday, November 18 Memphis College of Art's 67th Annual Holiday Bazaar will be an Open Market from 10am-5pm. The shows and events must go on! Donations and artwork purchases at these events will help us give underclassmen a path forward, give upperclassmen as many scholarships as possible, and put money in the pockets of the students who are about to graduate. 70% of proceeds from art sales support the artists directly. 30% of proceeds from art sales support the MCA scholarship fund, which supports our current students. We look forward to being your destination for fine art and custom, handmade gifts this holiday season! 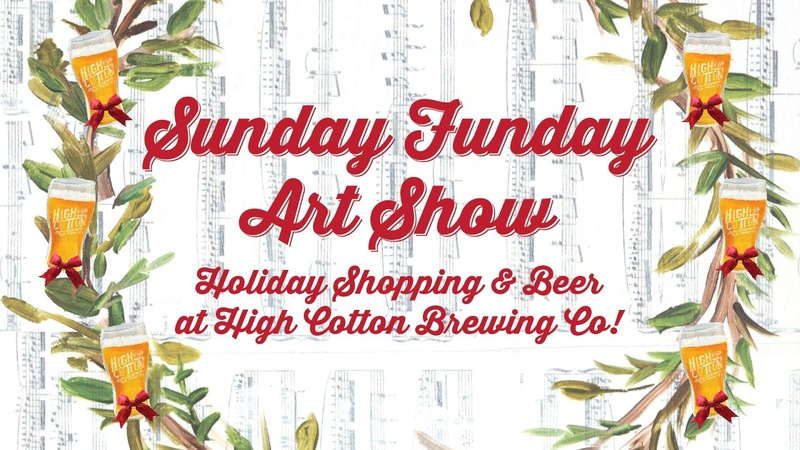 Over 90 artists represented with a wide variety of items: paintings, prints, photography, sculpture, jewelry, ceramics, kitchen items, t-shirts and wearables, silk-printed scarves, temporary tattoos, bath and body products, stickers, postcards, metals, paper goods, and more. Please join us for the opening of "Lurkmoar," the MFA thesis exhibition of Jesse DeLira consisting of photographs, found objects, and written materials produced using a variety of processes, both analog and digital. 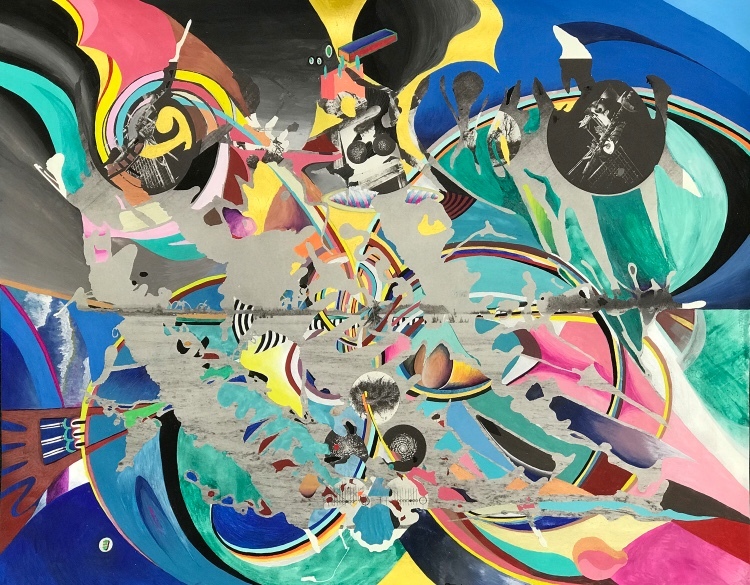 The work itself is based on a style of investigation that is termed “conspiracy theory” or “dot-connecting.” From this viewpoint, geopolitical happenings are positioned as having ulterior motives. This presumes that an underbelly of powerful agents exists to control and manipulate current affairs so that natural and human resources are harvested for a use that is deemed appropriate. This dark lens sees the world as a stage for an elaborate ruse. If uncovered, it reveals to the awakened a totalizing system of technocratic slavery. There are a wide range of agents that play part in this supposed conspiracy. This body of work focuses on the Illuminati, the Catholic Church, CERN, Freemasonry, occult ritual, and political parties. For the conspiracy theorist, these seemingly disparate subjects often overlap with each other; for this reason, the work itself is multi-layered, cacophonic, and occulted. Exhibition on view November 17 - December 7, 2017. Free and open to the public. Please join us for the opening reception of Amani Figgs' solo show "Static." The artist will be giving a talk at 6:00 pm. The opening is from 5-7 pm. We look forward to seeing you there! 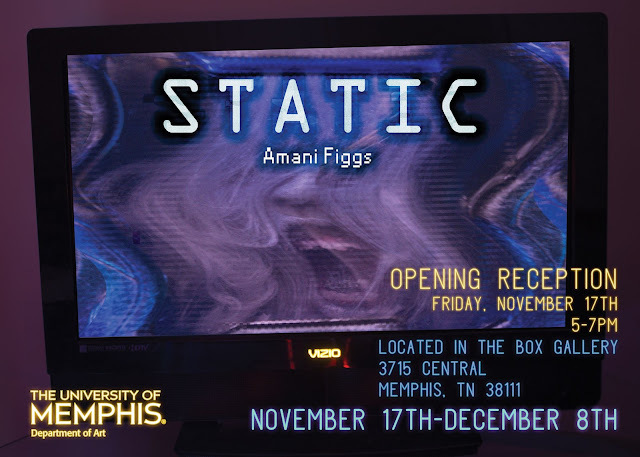 Please join us for the opening of "Still Strippin’," the Fall 2017 BFA thesis exhibition featuring work by four graduating seniors of The University of Memphis Department of Art: Devin Picchi, Amira Randolph, Kristin Smith, and Sadie Tomes. The exhibition is a compilation of works in a variety of media including painting and photography. The presentation celebrates the completion of undergraduate studies and the culmination of each student's artistic exploration and experiences. 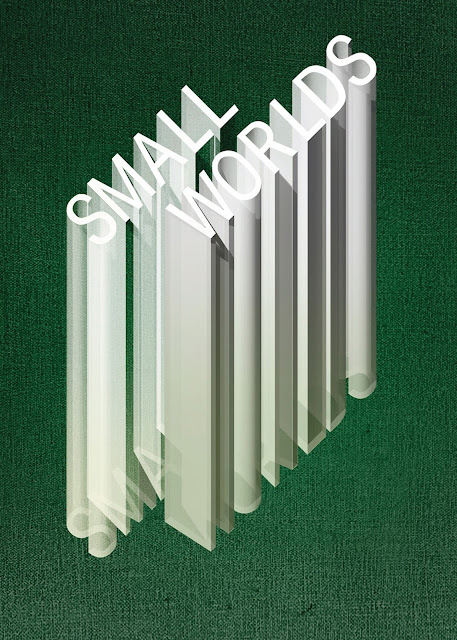 Works from graduating seniors in the BFA program will be on view from Nov 29 to Dec 14. A reception will be held on Saturday, December 2 from 6:00-8:00pm, in conjunction with the Jan Hankins exhibit in the Alumni Gallery and the Creativity and Inclusivity exhibit in the Lower Gallery. Seniors participating include: Marcus Clark, Chance Coleman, Sharday Hawkins, Kristen Kaluba, Taylor McCormick, Olivia Ritter, and Sam Smith. 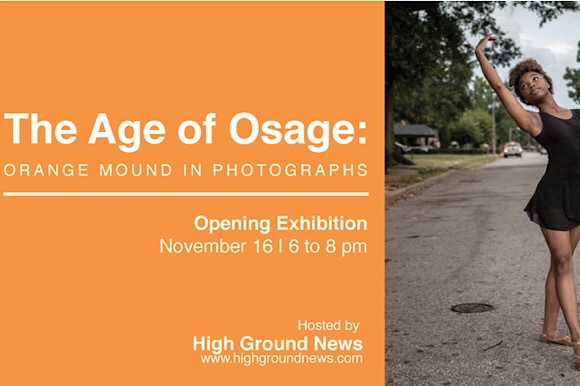 Please join High Ground News for The Age of Osage: Orange Mound in Photographs on Thursday, November 16. The exhibition and reception is a capstone of Memphis-based High Ground News’ three months of embedded reporting in the neighborhood. The show, which is free and open to the public, is at The Orange Mound Gallery at 2230 Lamar Avenue and will last from 6:00 to 8:00 p.m. Light refreshments will be provided. From tiny football players and neighborhood candy ladies to ballerinas and local businesses, The Age of Osage is a photography show that illustrates the spirit of the Orange Mound community as captured by High Ground News photographers from August through November. Contributing photographers include Andrea Morales, Ziggy Mack, Averell Mondie, Andrea Zucker, and Allyson Blair. 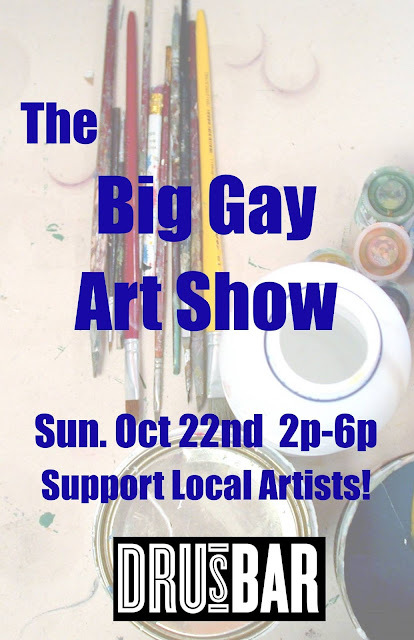 More information about the show can be found here. 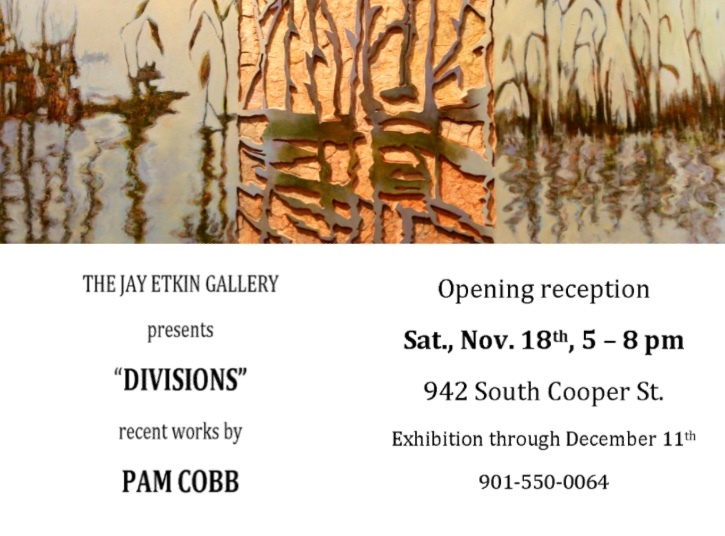 For those who can't make the reception but would like to see the exhibition, the Orange Mound Gallery will be open the following weekend, November 17 to 19. High Ground News is an online publication focused on what's next for Memphis. For three months, we have operated out of an Orange Mound media hub telling stories about the neighborhood through articles, video and photography. Visit highgroundnews.com to learn more. 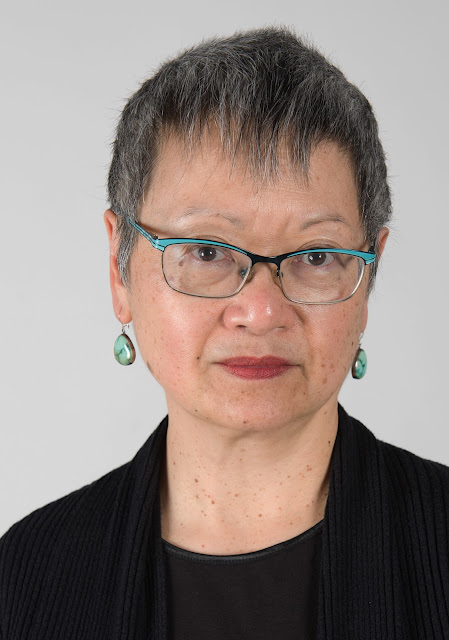 Art Historian Dr. Margo Machida will deliver a lecture titled "Asian American Art, Activism, and the Turn to Transnationalism." Primarily drawing examples from her experience in New York and San Francisco, she will examine how Asian American frameworks for thinking about identity, identity politics, and arts activism shifted between the 1960s and 1990s – and how the convergence of domestic activism, accelerating migration, and transnational circulation shaped emergent artistic, critical and curatorial practices. Lecture will be held in Art and Communication Bldg. Room 310. 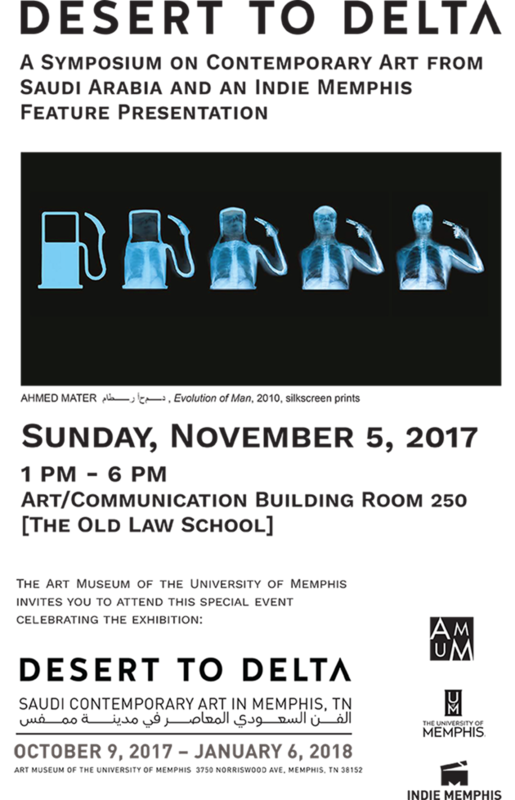 Reception at 5:30 pm; lecture begins at 6 pm. Dr. Machida is Professor Emerita of Art History and Asian American Studies at the University of Connecticut. Born and raised in Hawai’i, she is a scholar, independent curator, and cultural critic specializing in Asian American art and visual culture. Her most recent book, "Unsettled Visions: Contemporary Asian American Artists and the Social Imaginary" (Duke University Press, 2009) received the Cultural Studies Book Award from the Association for Asian American Studies. She is co-editor of the volume "Fresh Talk/Daring Gazes: Conversations on Asian American Art" (University of California Press, 2003). She is an Associate Editor for the "Asian Diasporic Visual Cultures and the Americas" journal (Brill). Dr. Machida has received numerous grants and fellowships including support from the Smithsonian Institution, Rockefeller Foundation, and National Endowment for the Humanities. She is co-organizer of the Diasporic Asian Art Network (DAAN) and the East Coast Asian American Art Project (ECAAAP), and a founding member of the International Network for Diasporic Asian Art Research (INDAAR). In 2009, she received the Lifetime Achievement Award from the national Women’s Caucus for Art. What: Tyler Hildebrand and Matthew Dayler are two of MCA's baddest alumni. Both now work at the Art Academy of Cincinnati, and they are coming back tell to you about their work and how their careers have evolved since their time at MCA. Learn more about each artist below. Tyler Hildebrand: Artist Tyler Hildebrand works in Admissions and has taught analytical drawing and sculpture at the Art Academy ofCincinnati. He produces work in a wide range of media, from gifs and animations to paintings and environmental installation. According to his artist profile at David Lusk Gallery where Hildebrand is locally represented, he "does not shy away from the harsh realities of contemporary American culture... Hildebrand strives to represent grotesque elements of society, even if it means revealing an uncomfortable and oftentimes crude environment. By exposing the perverse, depraved and degenerate truths of the world around us, Hildebrand produces work that is often tough to look at, sometimes witty and always truthful." Since his time at MCA, Hildebrand has forged a vibrant career. His is owner and curator ofTastyKake Gallery in Baltimore, Maryland, the director of his own film studio, Mohawk Productions, and has exhibited widely from Memphis to New York. Learn more about his work here. 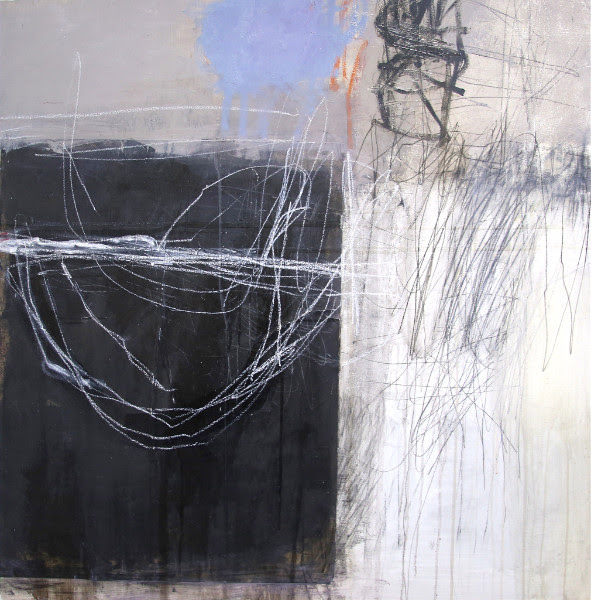 Matthew Dayler: Matthew Dayler was born and raised in Hamilton, Ontario, Canada, and is Assistant Professor at the Art Academy ofCincinnati. Dayler’s interests draw from a wide variety of historical and contemporary imagery relating to identity in juxtaposition with street culture, music and sports. Dayler’s images are often presented in the form of murals, prints, drawings, and video. His work has been exhibited at the Telfair Museum of Art in Savannah, Georgia, The Brooks Museum in Memphis, Tennessee, and Galerie Edition Schedler in Zurich, Switzerland, The Netherlands, Australia, Miami, NYC and LA. He lives in Cincinnati, Ohio and is one of the founders of Xylene. Click here to check it out! The South Arts Southern Prize and State Fellowships acknowledge, support and celebrate the highest quality artistic work being created in the American South. The program is open to individual artists living in the South Arts region: Alabama, Florida, Georgia, Kentucky, Louisiana, Mississippi, North Carolina, South Carolina and Tennessee. This program is open only to visual artists and will expand to other disciplines in the future. The application deadline is December 15, 2017. 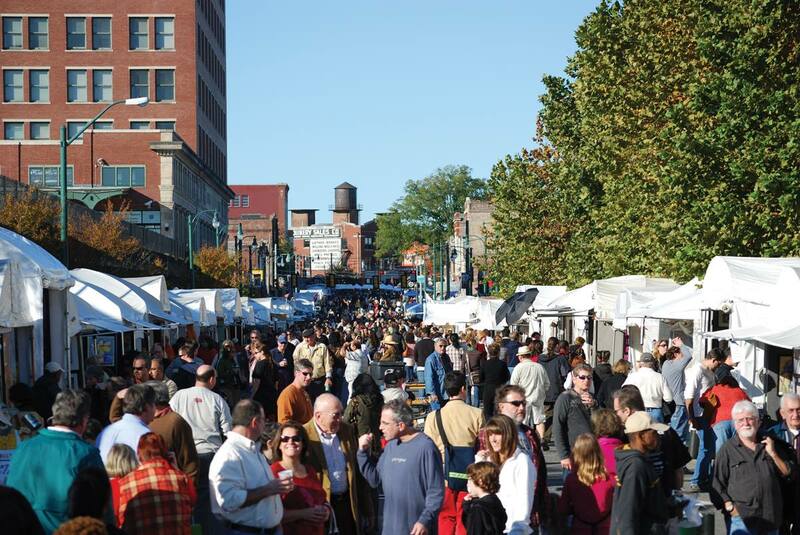 The South Arts State Fellowship is a state-specific prize awarded to the artists whose work reflects the best of the visual arts in the South. A review panel will select one winner per eligible state, with artistic excellence being the sole criterion. A total of nine fellowships will be awarded. Each will be awarded a $5,000 South Arts State Fellowship, and will compete for one of the two South Arts Prizes. State Fellowship recipients will be required to attend an awards ceremony. The nine State Fellowship recipients will compete for the South Arts Southern Prize. The $25,000 Southern Prize will be awarded to the artist whose work exhibits the highest artistic excellence, and one finalist will be awarded a $10,000 Prize, also based on artistic excellence. 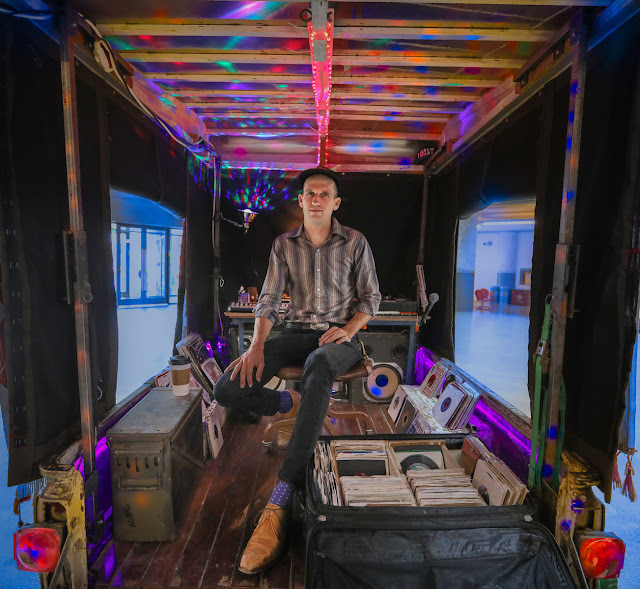 The Southern Prize winner will also receive a two-week residency at The Hambidge Center for the Creative Arts and Sciences. A national panel will convene to evaluate the body of work represented by the nine State Fellowship recipients and select the Prize winner and Finalist. Winners of the South Arts Prize will be announced at the awards ceremony. An exhibition of works by the State Fellowship winners may be organized during the award period. Questions or comments about this program? Please contact southernprize@southarts.org or call 404.874.7244 x10. The Southern Prize and State Fellowships are supported by Alabama State Council on the Arts, Atlanta Contemporary Art Center, Joanne Calhoun, Citizens for Florida Arts, Inc., Cultural Council of Palm Beach County, Cyberwoven, Evans General Contractors, Arnold and Fran Gellman, Georgia Council for the Arts, Les Hamlett, Kentucky Arts Council, J. Martin Lett, Louisiana Division of the Arts, CJ Lyons’ Buy a Book, Make a Difference, MailChimp, Miami-Dade County Department of Cultural Affairs, Mississippi Arts Commission, North Carolina Arts Council, Scott and Terry Peterson, Michael Quinlan and Mollie Quinlan-Hayes, South Carolina Arts Commission, Tennessee Arts Commission, Pat and Susie VanHuss, and powered by The Hambidge Center. Check www.riverartsmemphis.org for a full schedule of live music. 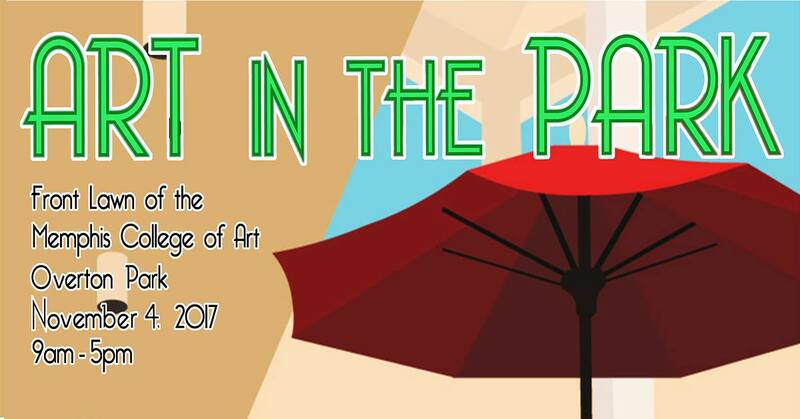 Come join us Saturday, November 4th for MCA's annual student hosted artists market Art in The Park, from 9am until 5pm. The Market will be held on the front lawn of Rust Hall in Overton Park. In 1917, Rhodes College began admitting women on an equal basis with men. This exhibition celebrates the contributions of women faculty and alumnae from the Department of Art and Art History by placing them in conversation across generations around persistent themes in the study and creation of art. Mary Sims and Alexandra Carter examine the roll of the figure in representation, both realistic and fantastical. Esther Ruiz, Daisy Craddock, and Betty Gilow employ color and abstraction to striking visual effect. Erin Harmon and Valerie Berlin find compelling pattern in landscape and domestic spaces. 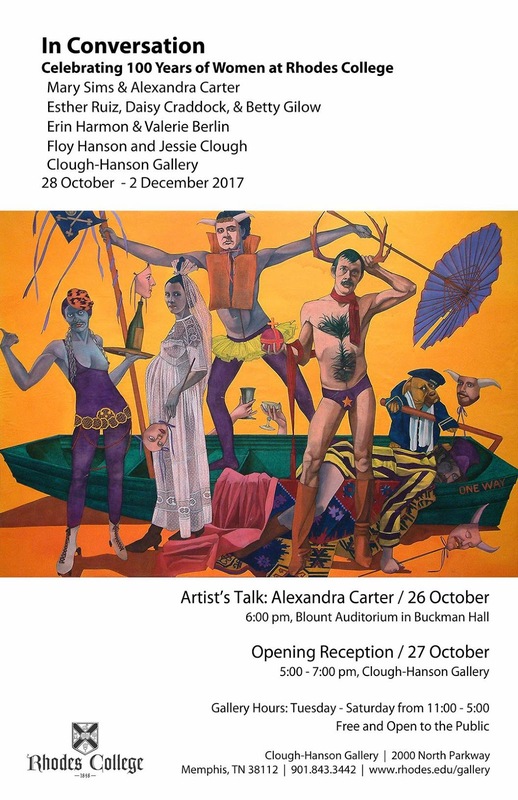 We're pleased to round out the exhibition with the work of Floy Hanson and Jessie Clough, two forward-thinking women whose keen eyes and passion for art laid the groundwork for Clough-Hanson Gallery. Located in Clough Hall on the campus of Rhodes College, the gallery is open Tuesday - Saturday, 11 am - 5 pm. Admission is always free. For more information contact Joel Parsons, parsonsj@rhodes.edu. Local artists and lots of fun! Join us as we celebrate creativity. Art will be available for purchase. The fall season comes with arts opportunities! Get all the details on how to apply for affordable housing for artists (right here and Memphis!). ArtsMemphis will have all the details on applying for a $5,000 ArtsAccelerator Grant. 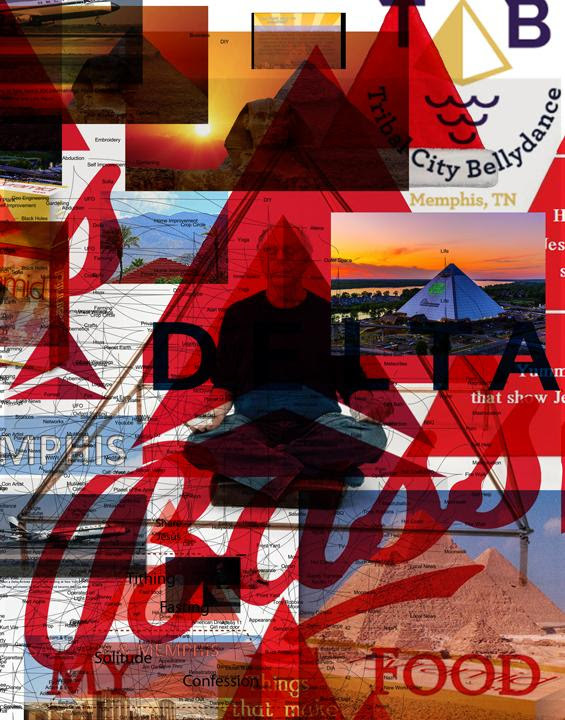 There is no better time to be an artist in Memphis. Hustle: professional development for artists is a free program organized by ArtsMemphis, UrbanArt Commission, and Crosstown Arts.